Have a large library and don’t feel like sifting through it all to find the duplicates? 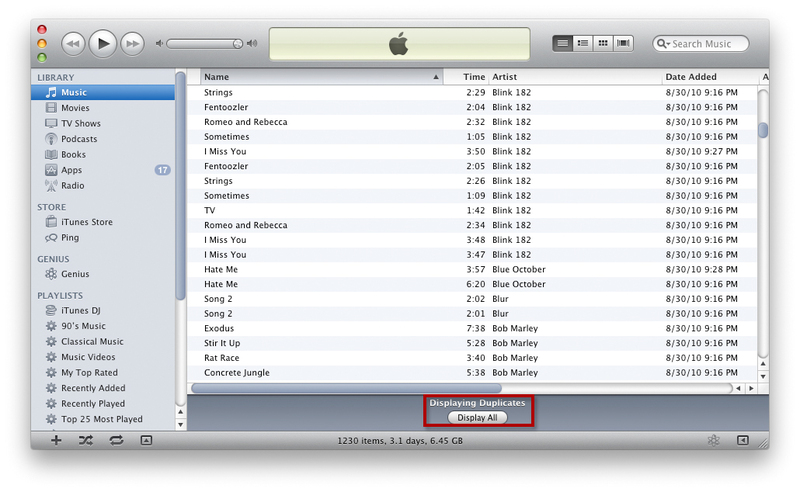 I feel your pain but iTunes has a feature to help relieve this stressful process. Have a large library and don’t feel like sifting through all of it to find the duplicates? I feel your pain I have been plagued with numerous cases where songs get imported twice or you buy a greatest hits CD with the same songs as the artist’s other albums. Luckily, Apple was prepared for this nuisance and created a feature in iTunes to show you all of the duplicate songs within your library. 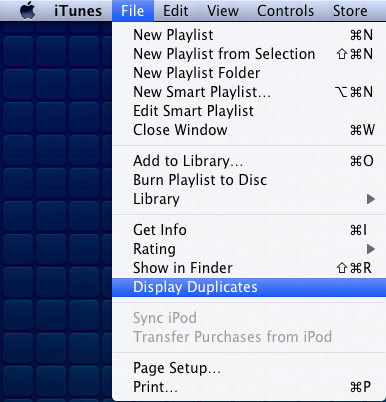 iTunes’ “Show Duplicates” feature is helpful but you still have to examine every track to determine whether you want to keep or delete the tracks it finds. Smart Playlists are of dubious help and trying to locate all duplicates with them can be tedious as they can quickly crowd your Source list and slow iTunes down. You can grab Dupin by visiting DougScripts.com. There is a unregistered version* (direct download link) as well as a paid version for $15.00. I strongly encourage the paid version as it has made organizing my music extremely easy. *The unregistered demo version of Dupin will display up to 20 sets of duplicate tracks per session and permit a single “Purge” operation per launch. All other features are unencumbered.